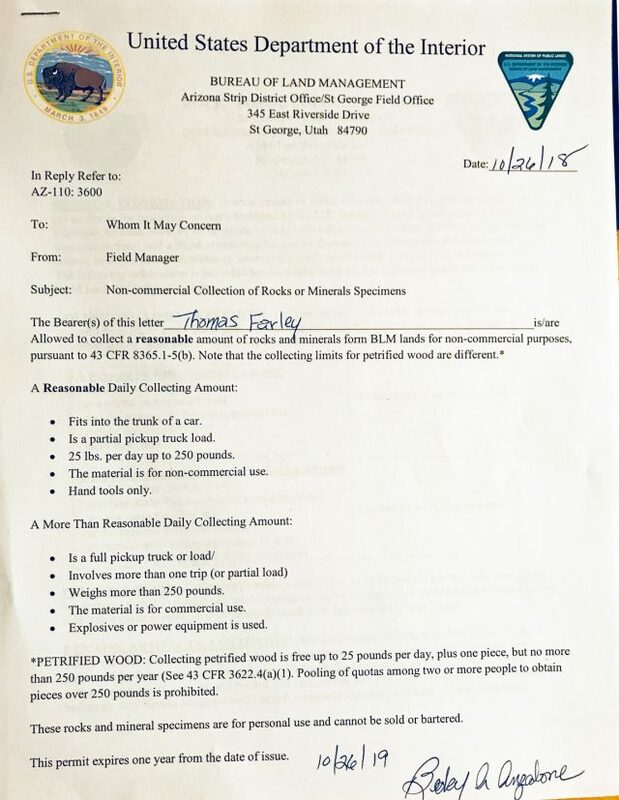 A BLM Permit for Rockhounding? I visited the BLM office in St. George, Utah yesterday morning. It’s well done with some interesting displays and local maps and books available. This is BLM’s Arizona Strip Office, which manages land in Arizona north of the the Grand Canyon, mostly remote, rugged ground with no services. An empty quarter if you will. When I mentioned that I was a rockhound they asked me to sign a permit. I have never encountered this. Good for a year, it outlines the rules and regulations for casual collecting in the Arizona Strip District, much of which is closed. Rather than being an actual permit that one has to possess, I think it is more of an official way of notifying rockhounds as to the ground rules. An employee explained it as “a backup” to have when rockhounding. You might enquire about a permit if you are visiting a BLM district office and intend to go rockhounding in its local area. It could put you on better terms with field personnel encountered later. Although, in truth, I have never read about these permits nor the necessity of having them. As an aside, although the BLM people were very friendly, they knew much more about ground that was closed than open. I received no information on good places to collect. 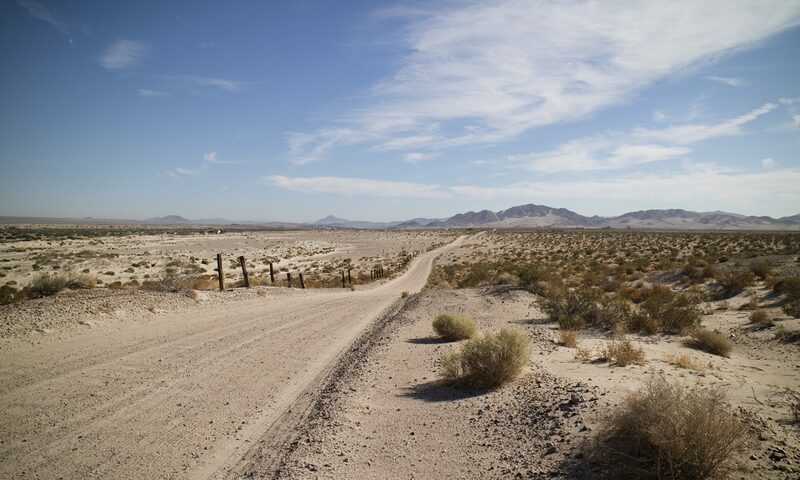 Unless you happen to run into a district’s geologist by sheer chance, you may find that better open ground information will come from BLM web pages and telephoning the Right People before you visit. Frustratingly, some information handed out at the office was simply wrong. The permit, for example, says that BLM managed National Monuments are closed when in fact some are open, like Gold Butte in Nevada. Just check BLM’s website of the monument. This office had maps and brochures of Gold Butte, but, again it is open to casual collecting, not closed. Print out web pages disclosing open ground information of any area before going. This may save you from arguments in the field. On a positive note, I visited the Virgin River Canyon Recreation Area outside of St. George and found the scenery beautiful. BLM notes it as a rockhound area. Although I didn’t have time to search, only to take pictures, I would like to spend more time there in the future. See the photo below. 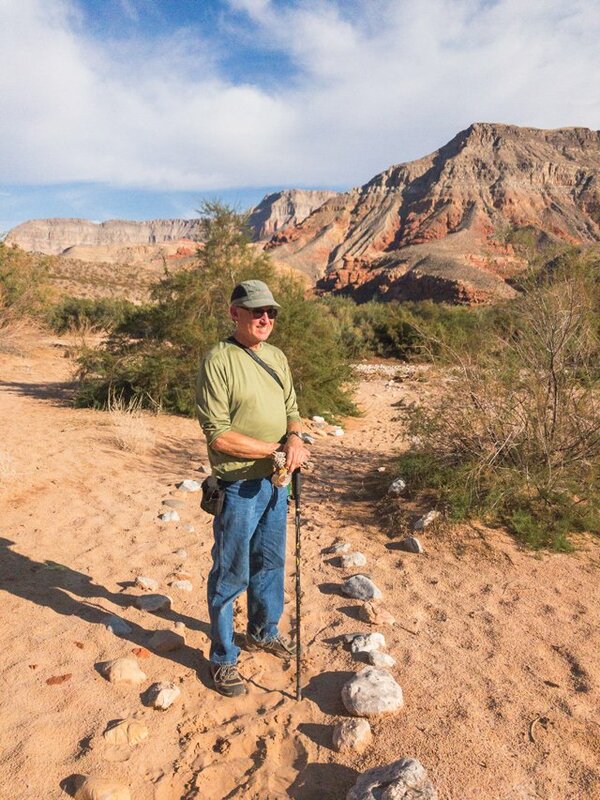 A happy hiker in the Virgin River Gorge area looking for petroglyphs.